Paid Windows software like Norton AntiVirus, Adobe Photoshop and Nero are etched into the minds of users thanks to years of advertising by the powerful corporations that own them. Most of the times the users are not aware of the fact that there are several free alternatives on the market. More importantly, these free alternatives tend to perform just as well as their paid cousins, while consuming less resources and providing a cleaner interface. Below you will find 8 free software that you can use for a wide range of purposes. 1. Avast AntiVirus: Currently at version 4, and free for home use. Avast is the best antivirus in terms of resource consumption. It has a low CPU and memory footprint, even while scanning. 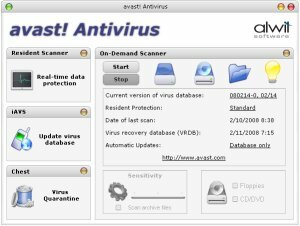 Several independent tests have found out that Avast is comparable to Norton Antivirus, Kaspersky etc. in terms of scanning accuracy, quicker than every other antivirus, and has the smallest online updates among them. Virus definition updates often go unnoticed, and we are alerted only when the update is complete. There are several skins available for Avast. My personal favorite is the Mac OS X theme that mimics the Mac interface well, but there is a Vista theme also. 2. Spybot S&D: Free for private use. Spybot S&D is one of the best anti-spyware tools available. Working in tandem with Ad-Aware SE, these two tools can sweep out most malware. The interface is simple, and presents three large buttons: Check for problems, Recovery and Search for Updates. Self-descriptive commands and options are the hallmark of Spybot S&D. There are two modes, Default and Advanced. Advanced mode adds many new options, but one wrong step and you may make or break the computer. The program will warn this when you try to switch to Advanced mode, though. 3. Foxit PDF: Free for personal use, contains an upgrade option for PDF editing and advanced usage. Adobe Reader takes several seconds to load up. However, a free, lightweight alternative called Foxit is available. Foxit can be used as a basic reader for free, but advanced features like editing require a paid upgrade. It is the ‘light-weight’ factor that makes Foxit so attractive. Foxit also includes nifty features like minimizing to tray to reduce clutter on the taskbar. 4. ImgBurn: Currently at version 2.4, and free for personal use. ImgBurn is a lightweight disc burning program, with a focus on getting things done quickly. Too many options may come in your way in Nero, but ImgBurn makes disc burning look easy. When starting up, you are met with a startup screen with options like ‘Write image file to disc’, ‘Write files to disc’ etc. Clicking one of those large icons takes you to the appropriate window. Feed reading can be made fun and enjoyable by using a desktop feed reader. While these do not have features like ‘Shared Items’ in Google, they are quick and easy to use. You can read feeds much like reading emails in a desktop app. There are options to bookmark favorite posts for further reference, and there is a separate folder for these bookmarked posts. FeedDemon has another useful feature – synchronization with Newsgator online account. This can be particularly useful if you move between several computers regularly, and want to stay synchronized. 6. VLC player: Free and open-source. VLC player is best known as a play-it-all media player. The open-source VLC player can play videos with ease. The interface design is rather drab, but not difficult to use. Weighing in at a hefty 35 MB, VLC might look heavy. However, this extra megabytes is caused by the codecs that are bundled. So, you can play most formats without installing any codecs on the PC. VLC is one of the few players that can play FLV and mobile video files without conversion. 7. Digsby/Pidgin: Free (Digsby) and open-source (Pidgin). Multi-protocol instant messenger clients are always desirable for those who chat often, or need to connect with users of different protocols. Digsby was launched recently and is invite-only (get invite codes here and here), while Pidgin is free and open-source. Pidgin has a large number of plugins and themes available, while Digsby is feature-rich by default. Digsby has inline email reply(within the client) and integration with Facebook and MySpace – two innovative features. If you’re tired of Pidgin’s drab interface, try Digsby – it has a pleasant-looking interface. IZArc is a powerful archive/unarchive utility. It is free and lightweight. It has all the features of other archival utilities, plus some extra features like unpacking .iso files to component files. This can be particularly useful when you get a disc and need to extract and install any single part of the software, say the .net framework (I have used it for that particular purpose). I have been using these freeware for over a year, and have never felt like going back to the paid software. Of course, this would require slight adjustments in our mentality and habits, but these can be done easily, once you remember that the benefits of using these are saving money, and saving system resources. IZArc is new to me, I’ve never heard of it before. I’ve been using WinRAR for a long time, but I think it’s time to try this one you’ve mentioned. Good list one. I use most of them, except for VLC. I’ve found a clone with the same feature called GOM Media Player. 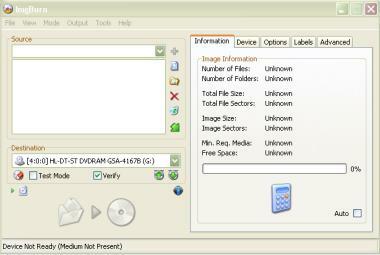 @Shankar: IZArc is quite good as it can also extract some unusual stuff like ISO files. @Syahid: Looks like I’ll be checking out GOM too. Thanks! Good point JC, I fixed that. Not the usual list of “must have” free Windows apps. ImgBurn and IZArc are new to me. Nice to see one of these lists trying to call attention to lesser known apps. What about SIW from http://www.gtopala.com ? @Bret: ImgBurn and IZArc pack a punch, so try it out! @Arun: Thanks, and I won’t be trying the Adobe Reader – not while Foxit’s around. I disagree on Avast. As far as superior protection combined with a small footprint, it’s tough to beat NOD32. Tests run by AV-Comparatives.org would bear this out. Avast is still a good product. Thanks for the list. @Dirk: NOD32 might have been good on a few tests, but most of the tests I’ve seen uphold Avast – it is better than even Norton in terms of response time etc. Spybot is definitely one of the top ones. Where is Opera Web Browser? Thanks for the Avast Skins… I didn’t know about them. Wheres Firefox?? Thanks for the list, Im french but I want to know what is the best version of win xp? I have a very slow computer (x21 from IBM, 700 Mhz, 256 ram) so I wanted to install a very light version of a customed windowns xp. I already install the LSD version, but its very slow and they take the “deframenter” out. Microsoft security Essentials is freeware and a nice program that covers ant-ivirus and anti-spyware. i think the internet is a very good way to communicate in this modern age. thank God for free software . no matter what comes out next there is still nothing out there that anyone can use to keep the hackers out of your pc. if there is one i sure do not know about. Make sure you have a good firewall and an antivirus program. No hacker will waste his time hacking a home pc.